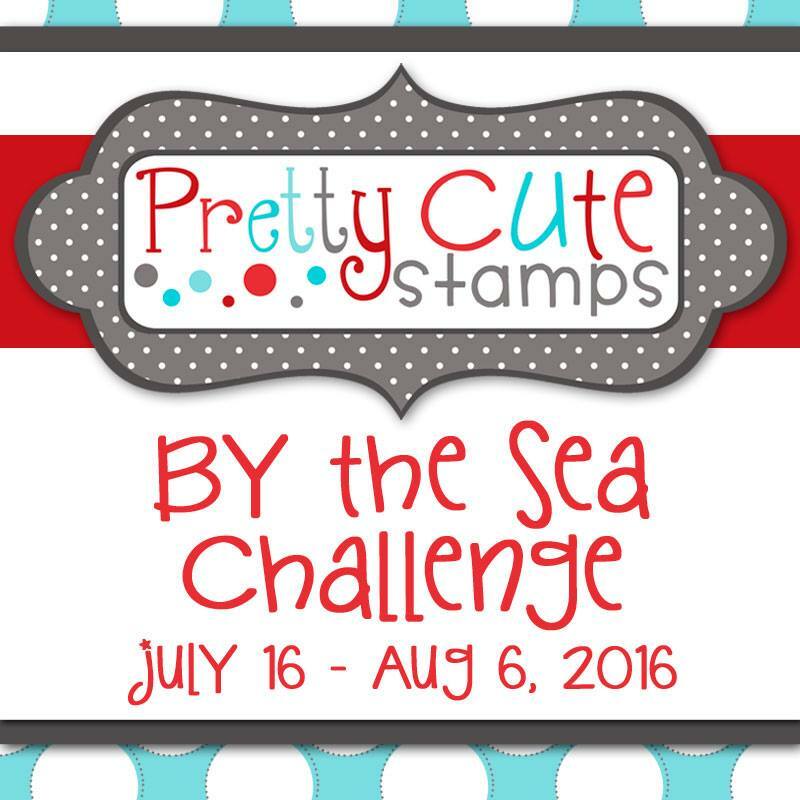 Karla Yungwirth Designs: Pretty Cute Stamps July Challenge - Under The Sea! 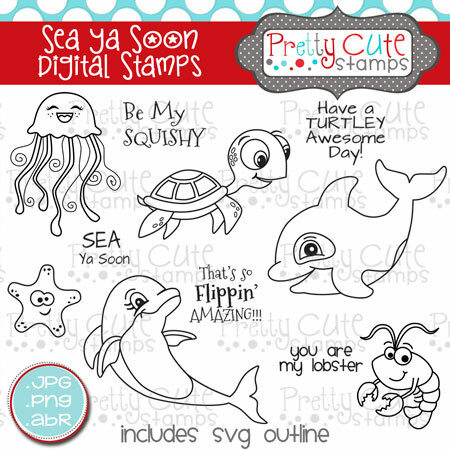 Pretty Cute Stamps July Challenge - Under The Sea! 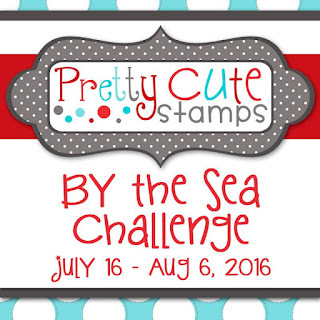 It's time for a brand new challenge on the Pretty Cute Stamps blog! 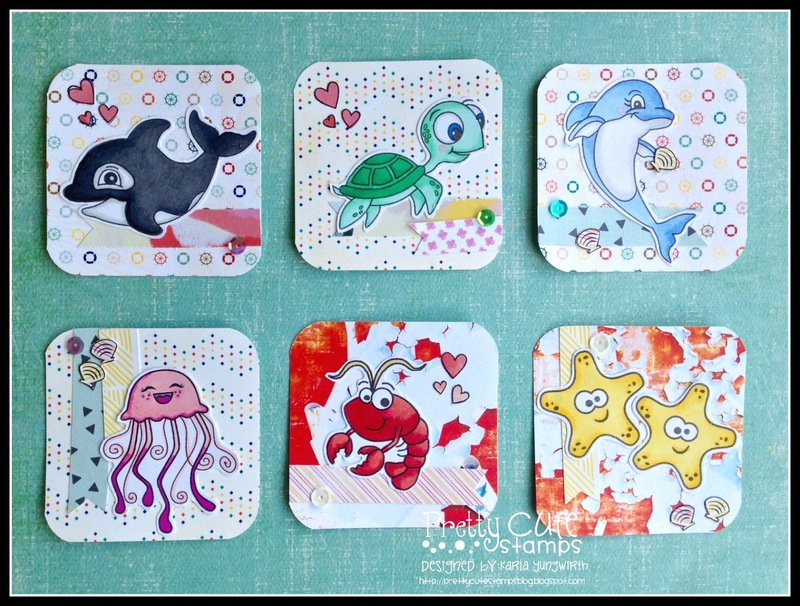 This month the theme is By The Sea, and with all the amazing new release stamps from June and July you'll be sure to find lots of inspiration to make a lovely sea project! For my challenge project I chose to make lunch box notes for my 9 year old. I started making her little notes for her lunch in Grade 1, and she loved them so much, kept them in a special box and still sorts through them every once in a while, that I just don't feel right not sending them with her! So, I'm trying to get some done up ahead of time - and using these adorable Sea Ya Soon underwater animal digital stamps was the perfect opportunity! I started off by using some pretty 6x6 papers as a background and then layered on my coloured sea creatures, which I coloured with Prismacolor and Hobby Colour Markers after printing on white cardstock. I love that I can print these out whatever size I want depending on my project. I used the Otterly Amazing stamp set to add paper pieced hearts and sea shells to my notes and the Sea Life Sentiments stamp set, which is is now available as a digital stamp set, on the back of each card. I heat embossed the words with a pretty green sparkly embossing powder. Below you can see the coordinating sentiment I used on the back of each note. A few pretty sequins from 28 Lilac Lane add some sea sparkle! Here's a look at these 3 wonderful stamp sets. 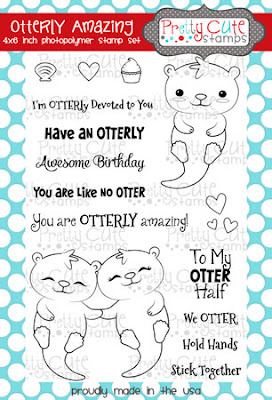 Don't forget the Otterly Amazing set is still available for a limited time as a clear stamp! Thanks so much for joining me today. 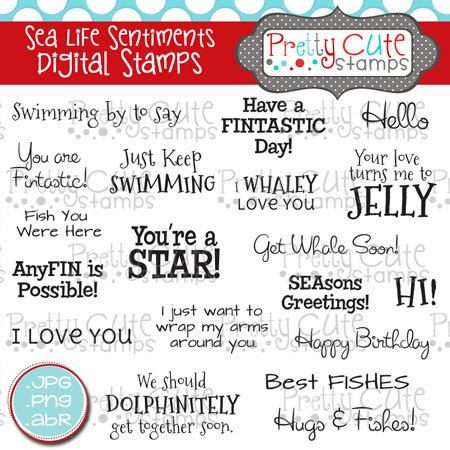 I hope you're enjoying your summer and getting in a little crafty happy time! 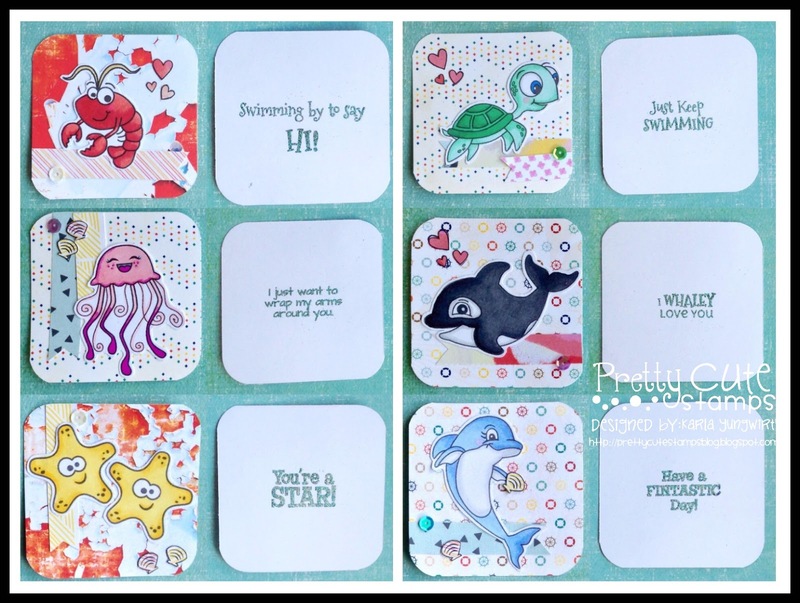 Be sure to head over to the Pretty Cute Stamps blog to see what all the other Design Team members have come up with for this challenge - they are really awesome ;) - and enter your own here for a chance to win a gift certificate for your very own Pretty Cute Stamps!